The map shows the location of the museum when it was in Napier, on the northern end of the South Island. 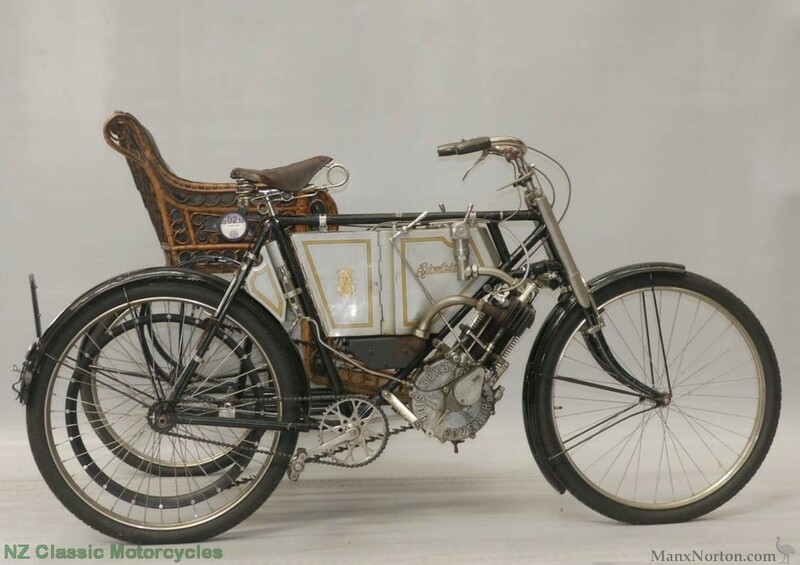 "...our collection of more than 260 machines – solo, sidecar and even three wheeled automobiles – features machinery from 1902 upwards and is surrounded by an extensive gallery of motorcycle related artwork and original period posters, all sourced around the globe and available for public viewing. Over 60 manufacturers are represented (with some really astounding restorations) including the likes of Nimbus, Peugeot, Messerschmitt, Zundapp, Matchless, Motosacoche, OK Supreme, Triumph, Vincent, Indian and Harley-Davidson just to mention a few. All age groups and interests are catered for within a two-story uncluttered layout created by New Zealand’s award winning interior designer, Neil McLachlan. For the students of history or those engaged in restoration progress, besides the bikes, we have an open library in our upper display area where you can relax and read our books about the various aspects of New Zealand’s and the world’s motorcycle heritage, or a workshop manual on specific machines. On site there is a fully active restoration and service workshop where you see work in progress by our team of engineers and volunteers who are dedicated to the preservation of these special parts of motorcycle mechanical history." The museum announced its closure to the public in April 2016, and then very shortly thereafter said that a buyer had been found for the whole collection and it would be moving to Invercargil. The collection was acquired by Transport World which incorporated it into its very impressive Motorcycle Mecca.